Weed killers can either be applied to the soil to keep weed seeds from germinating (pre-emergence), or they can be applied to the foliage of existing weeds to kill them (post-emergence). All weed killers are a poison of some kind for plants (and some to aquatic life). Rain may dilute the weed killer's effectiveness, wash it away entirely, or carry it to places where it can do substantial harm. While it is often recommended to apply granular pre-emergence herbicide before a rain, there is a danger in doing so. Heavy rains can wash it out of the areas you’ve spread it, and into areas you may eventually want to plant seeds. Worse, it may get into waterways and prevent neighbor plants or wild plants from germinating. It is safest to water in the granules right after applying, but slowly so that they do not wash or leach away. There is almost always a setting period for herbicides applied once weeds have germinated. This time can range between a half-hour to eight hours, depending on the brand and type you use. The label should give rain delay guidelines. If it rains before the allotted time, the herbicide might not be effective, or may take longer to kill the weeds. You may have to reapply the weed killer. Read the label before applying pre-emergence or post-emergence herbicides. Some of them are less effective if applied while the leaves of the plant are still wet. Some brands of pre-emergence herbicides should not be applied while foliage is wet to prevent damage to plants you want to keep. For example, pre-emergence herbicides made for lawns may harm or discolor blades of grass if left on wet leaves. Some herbicides are selective, meaning they only kill certain types of plants. 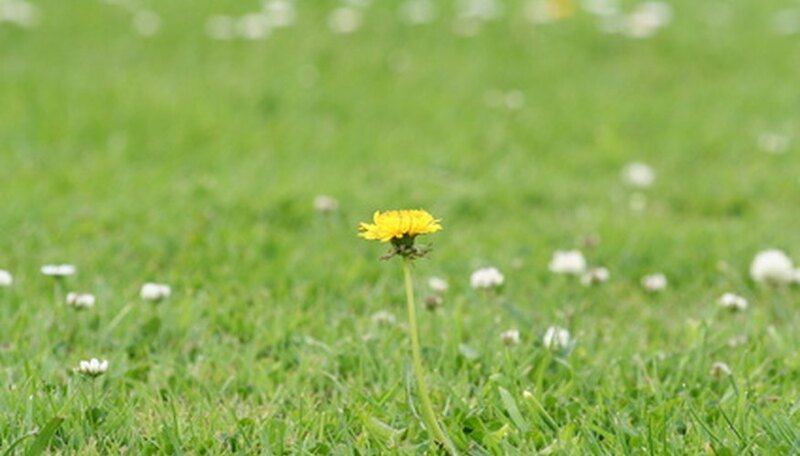 Broadleaf weed killers, for example, are often used on lawns because they have little to no effect on grass. But these can still be detrimental to neighboring plants if they are not applied properly, or if they are washed onto other plants by rain. Herbicides often harm or kill aquatic life as well, so take extra precautions if you have to use them when there is a body of water nearby. Herbicides should be a last resort whenever possible. They can be dangerous or problematic for the user, for desirable plant life and wildlife, and even dangerous to store. Pulling or hoeing weeds, suffocating them with black plastic, or using cultural practices that limit weeds’ ability to gain a foothold and spread are far better options. Mulching, planting native ground covers, and keeping weeds cut so they can’t form or spread their seeds help reduce weed problems before they start.